Mark Zuckerberg is a CEO for a large-cap company on the stock exchanges, but he also gives and offers opinions on other companies and stocks he likes, if he were to invest. The head of Facebook (NASDAQ:FB), who has seen his infact stock struggle in the market and is coming off his first public quarterly report (which disappointed many), talked about the emergence of mobile as a market for Facebook – but the company has yet to get a foothold. In its first-ever public quarterly report, Facebook reported 543 million active users on mobile phones, which is a 67-percent increase from the same quarter of 2011. However, the monetization has been slow to come, as Facebook has only recently begun ramping up its mobile advertising. Still, the company reported that about half of its $1 million-a-day run rate from its Newsfeed ads come from mobile devices. What is striking about Zuckerberg’s comment is that he’s predicting that the current annualized sales of smartphones of about 600 million will grow to 4-5 BILLION within a few years. With Apple (NASDAQ:AAPL), Samsung and Google (NASDAQ:GOOG) – thanks to its acquisition of Motorola – as the leaders in the smartphone business, that prediction would mean near-exponential growth for any or each of these companies. And thus, an increase in value and for Apple and Google, even market value that may be 3-4 times what they are even now. 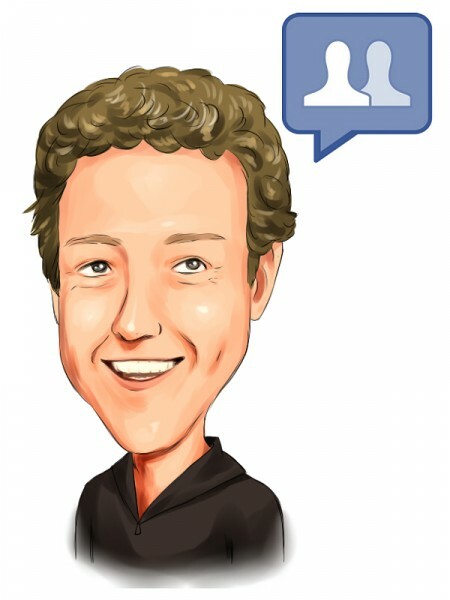 Even if Zuckerberg is half wrong, that is still 2-3 billion per year. In other words, while his company is working and spending to develop a viable strategy for monetizing their mobile users, he still sees massive growth opportunities just in the smartphone sales market – more so than in mobile advertising. After all, Facebook only has so much advertising space to sell, and while the market for smartphones may grow significantly, the ad rates won’t grow as much as introducing new ad spaces would. Smartphone sales growth has been strong and steady, with a report from the International Data Corporation suggesting growth is about 42 percent a year at this point. Samsung and Apple are the clear leaders in smartphone sales, but with Google’s operating system o the majority of smartphones and Google now running Motorola’s smartphone sales, it can be reasonable to expect that all of these companies will see tremendous growth in their market footprints and their valuations, even if Zuckerberg misses his prediction by 50 percent. So while Facebook invests in itself to try to improve its money flow through its emerging mobile user base, thus not expanding itself in the market, in the short-term, Zuckerberg believes the better play for investors may be in companies that sell smartphones, like Apple or Goodle. Maybe in a couple years, when the smartphone market growth curve flattens, Facebook will have itself positioned to fully exploit the advertising opportunities that would be present with two, three or five billion smartphones being used. But for now, if he were a buying man, he just might buy Apple or Google.